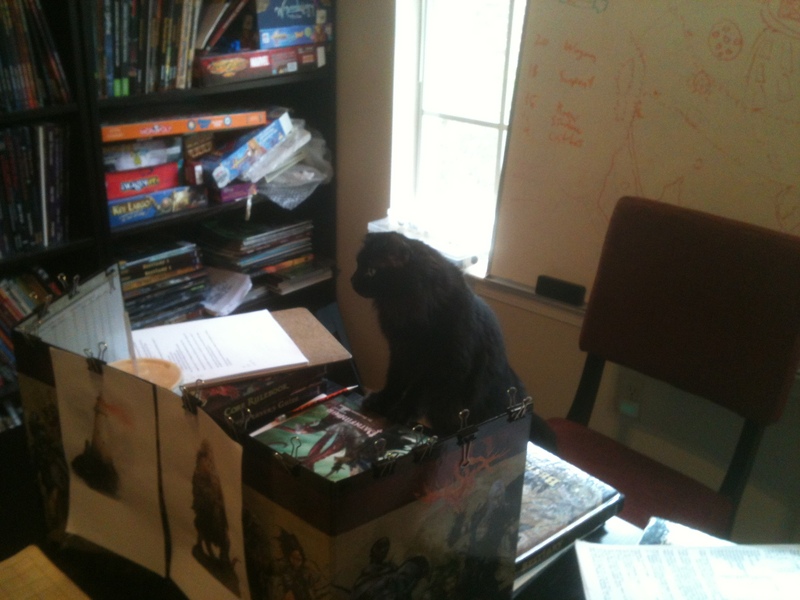 ← All Inclusive D&D 5e? Sometimes you have to take a break from the GM chair to recharge. Here’s our new interim GM. 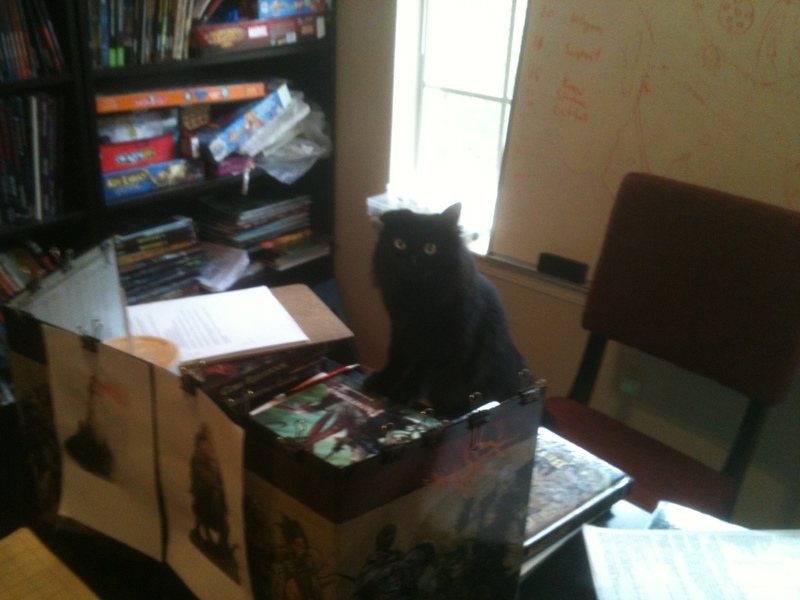 This entry was posted in talk and tagged cat, caturday, lolcat, RPG, RPGs. Bookmark the permalink. That Hep Cat is looking a little frazzled already… are you sure your awesome shoes can be filled by such tiny feet? Yep, a teaser for what’s coming up in our Reavers campaign!